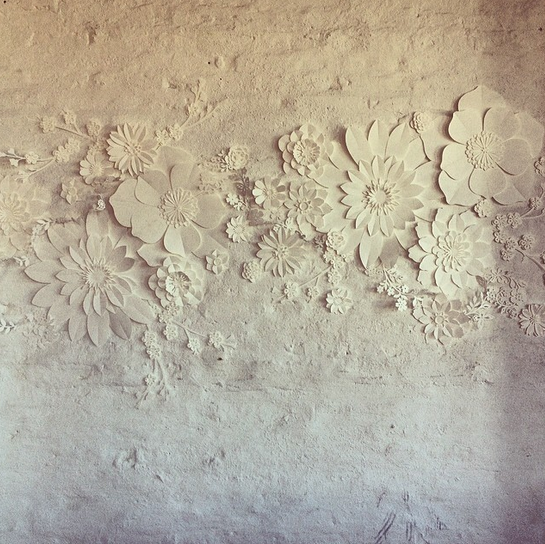 A Most Curious Wedding Fair Blog: 4 MORE SLEEPS TO MOST CURIOUS & THE PALM SPRINGS INSTALLATION SPACE PLANS ARE LOOKING GOOD! 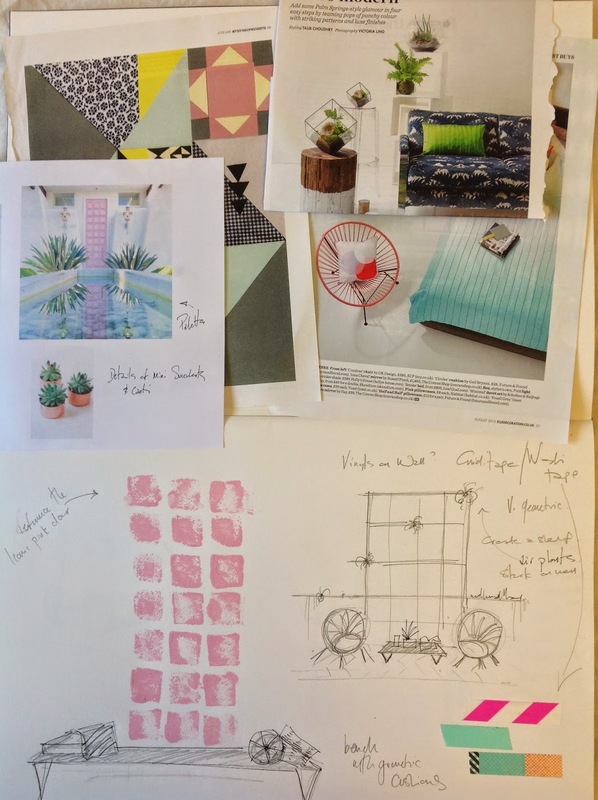 4 MORE SLEEPS TO MOST CURIOUS & THE PALM SPRINGS INSTALLATION SPACE PLANS ARE LOOKING GOOD! 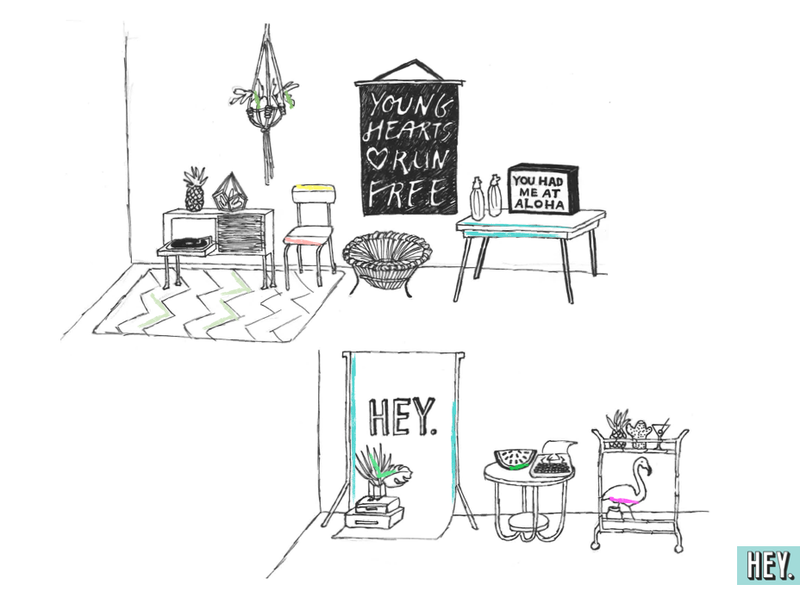 As well as the 100 design and fashion led exhibitors and Cereal Killer Cafe taking over the Truman Brewery on 7-8 March we have some super creative suppliers creating special Inspirational Installations. 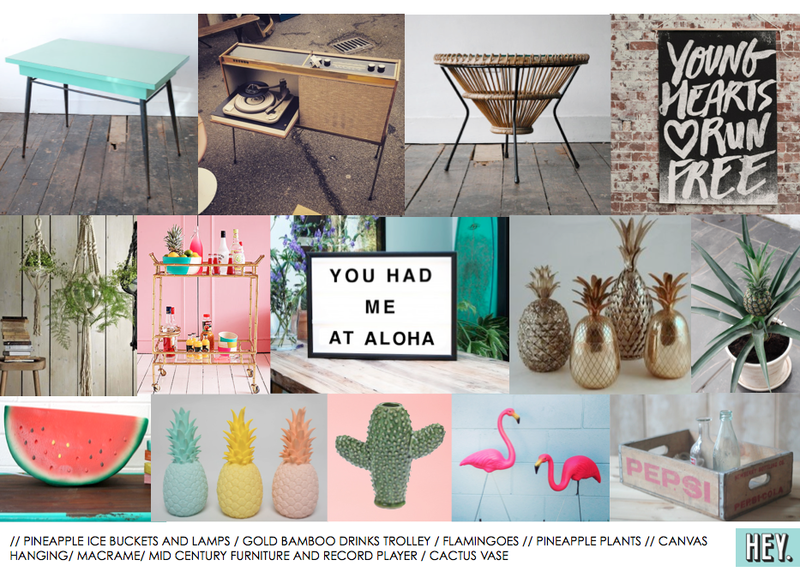 These will give couples ideas for all aspects of their wedding day, all with a Palm Springs theme through them - tipped to be one of the biggest trends of 2015 - think cacti, central American prints, desert blooms, mid-century furniture, tropicana and macrame. We can't wait. 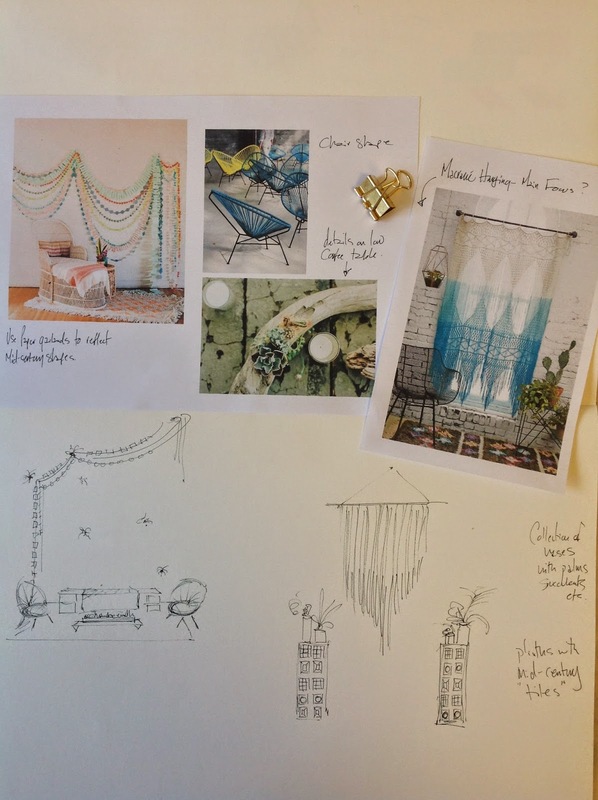 Just have a look at these concept drawings, mood boards and sneak peaks coming through...Top image is HEY STYLE's mood board, a brand new prop hire company specialising in vintage cinema signs, lightboxes, cocktail trolleys, flamingos, juke boxes, record players and all that good stuff! 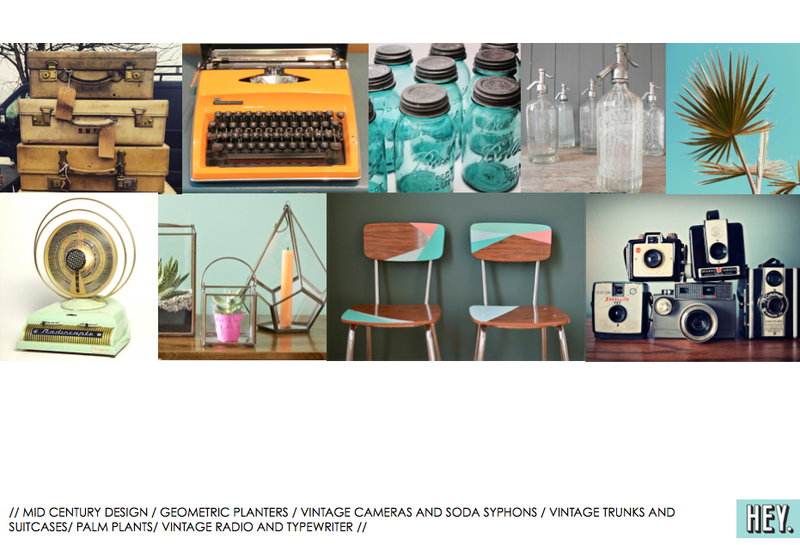 So new her website it launching in conjunction with the fair. Get in with us touch for more details though. This is more props the lovely Laura of HEY STYLE will be using and a little sneak into her spatial plans for her installation. And as you step into Most Curious you will be greeted with an enchanting Spring like entrance by Harper Bazaar florist fave Jo Flowers. 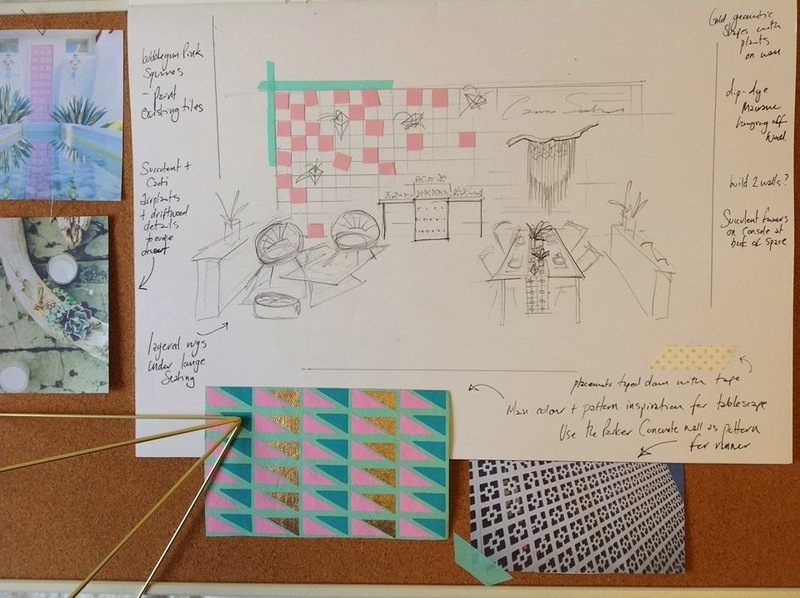 Interior designer turned awesome wedding stylist Carrie Southall is creating a full-on tile print wall, reminiscent of the beautiful geometric Palm Springs architecture, as well as a reception table styled to perfection with midcentury props, macrame and graphic prints. We can't wait! 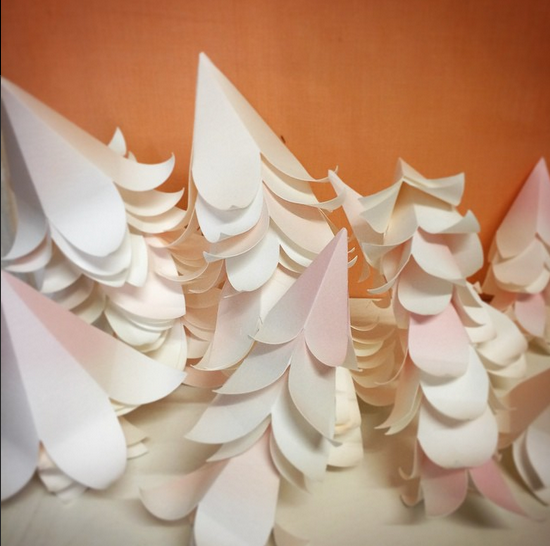 London laser cut crafter Micheala of Comeuppance, informs us she is making a 3D paper wonderland, which is pretty much all the information we need to know! Bring on the weekend!